OK guys, this is the last post in our Kosher for Passover week. I told you I was saving my favorite for last. No, I was not in fact able to get my hands on a bottle of The Zohan's favorite soda, "Fizzy Bubblech." I got a hold of my favorite soda: Kosher for Passover Coke! Those of you who pay attention for such things are probably already well aware that Coke is always kosher. 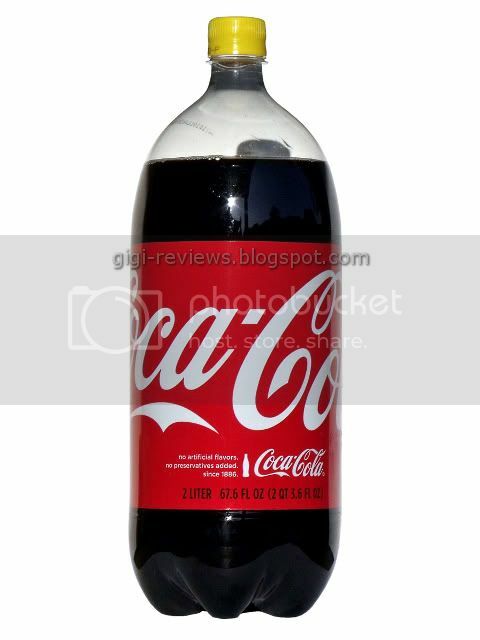 But the normal everyday bottle of Coke -- while still being deliciously tasty, is sweetened with high fructose corn syrup -- and if we've learned nothing else this week, we have still learned that certain grains are considered kitniyot, and yes, corn is one of them. So corn is OK most of the time, but not for Passover. Passover brings with it the one time a year that Coke itself keeps things real and sweetens the soda with actual real cane sugar. If you're old enough to remember what Coke tasted like in the days before the sugar was taken out and replaced by HFCS (circa 1985), this is what you remember. Sadly, the production runs of this type of Coke are very, very small, and seem to be targeted only at the larger metropolitan areas -- and even there, it can be hard to find. For example, I live in a far eastern 'burb of Los Angeles and I couldn't get it locally. I even put a cash bounty out to my friends if anyone could find it and bring it to me. In fact, I got so desperate that I called my local bottler. (Never got a response from them, either. And in a rare lapse of customer service on the part of Coca-Cola's corporate end, I didn't even get an answer from them on where to find some locally to me.) Finally I ended just biting the bullet and driving to the San Fernando valley, which has a significantly higher Jewish population than my area. And there I found what I wanted. The ever fantastic Gelson's Market had more Kosher for Passover Coke than I could shake a stick at. So I drank some. What more can I say? It was as good as it always is. It has that sugar "bite" that HFCS lacks entirely. This is really old school Coca-Cola, the kind that has otherwise been extinct in the U.S. for more than twenty years. Do whatever you have to do to find the remaining supplies in your area this year, because it is that good! And now you know for next year. You can thank me by sending bottles to me. 100 calories per 8 ounces. I have to admit that I can't begin to tell you what's different between this version and the "normal" version. As far as I can tell, the ingredients are the same. And to be brutally honest, it even tastes the same. Once again, I am going to point the short, stubby finger of shame at Coca-Cola. This was one of the questions I wanted to ask them, and neither my local bottler nor the corporate offices could be bothered to return my phone call or email inquiry. 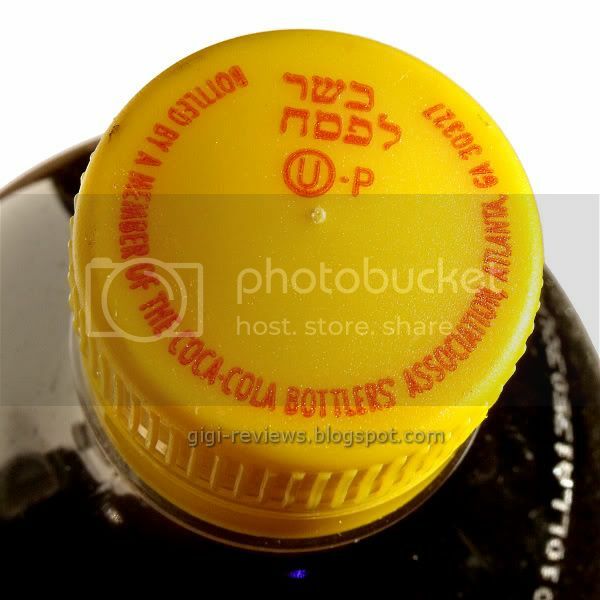 So if anyone out there knows what makes Diet Coke for Passover special, please leave a comment. Given that I honestly can't tell the difference between this version and the normal version, I am not entirely sure how to review it, let alone rate it. 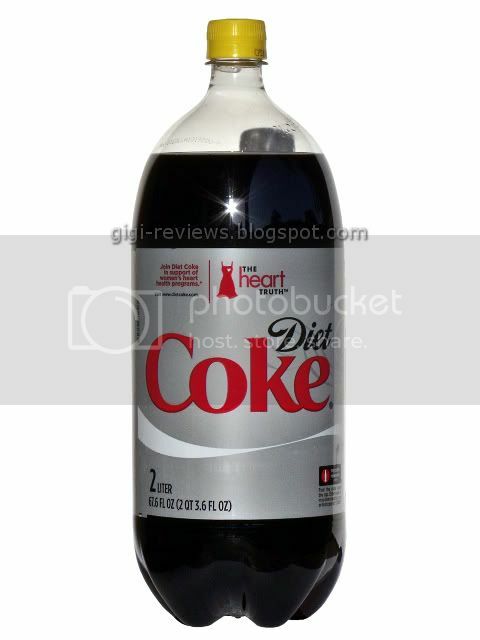 If you have ever had one sip of Diet Coke, you have had this -- so I am just going to leave things at that. Kosher, kosher for Passover, sugar free, contains phenylalanine. I was just reading about Kosher Coke earlier today. It turns out it's not just the corn sweeter that does it, it's also that there's some glycerine in there. Glycerine can come from vegetable or animal sources. So Kosher Coke is also Vegan Coke. 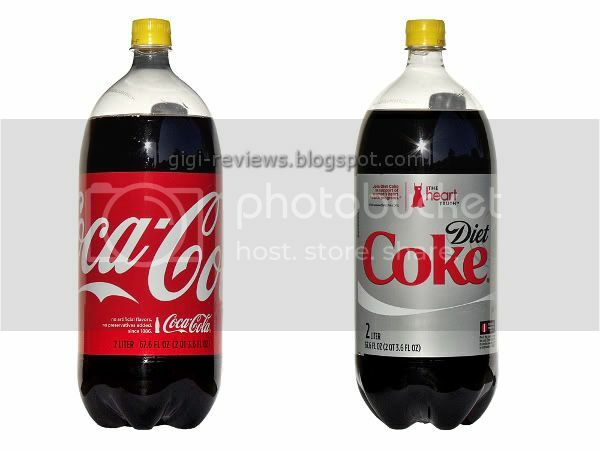 Diet Coke also has to be certified because it has to be ensured that the mixing/dispensing equipment which may also be used for dispensing the regular soda does not come in contact with the flavoring package/syrup that has HFCS. When they do production runs the equipment has to be thoroughly cleaned and inspected by a rabbi/certification expert. From a taste perspective there is no difference between Kosher for Passover Diet Coke and regular diet coke. This is strictly to satisfy the religious authorities for Passover (OU, etc). Cybele: AHHH see I did not know about the glycerin at all. Learned something new today! 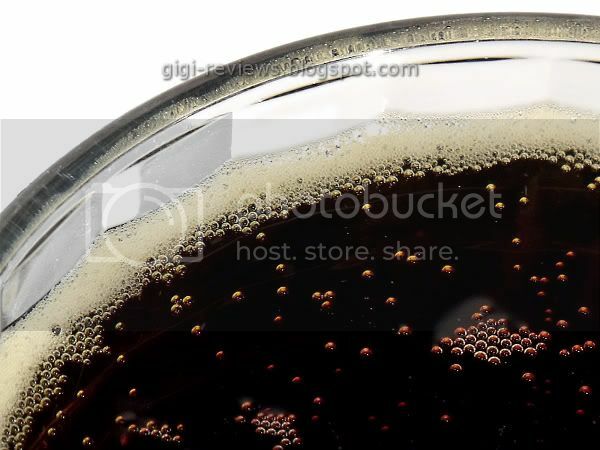 I really wish that Coke would take the hint from Pepsi and make an actual sugar sweetened version more then once a year. Thank you! I appreciate your finding all of that out. I also am glad to know that I was not insane in thinking the flavor was the same! regular diet coke has corn syrup in it, which many believe is not kosher for passover, while this version DOESN'T. Mexican and Canadian Coke have sugar all the time. Canadian Coke I have only found in Canada. Mexican Coke is frequently available in heavily-Latino communities. I have never seen it in anything but glass bottles and sometimes you can find Sprite, etc. with sugar as well.